My father stayed for while at Cedar Crest. I thought they did a great job. They were very diligent in their jobs. The people were very helpful and friendly. If I have to go to a facility, I would definitely go to that one. They have an outdoor area where the people can go outside safely. They have a TV room, the dining area is very nice, and they have all kinds of program for the residents. They have a bus that can take residents on little journeys. They have painting classes, and reading classes. However, they were not set up to take care of violent people, and they do not have enough staff. It's an older home, but it's very comfortable, everything is clean and safe for the people that are there. The best way to get to know a community is by scheduling a tour. See the facilities, meet the staff and residents, and get a feel first hand what it's like to live at Cedar Crest Alzheimer's Special Care Center Memory Care. 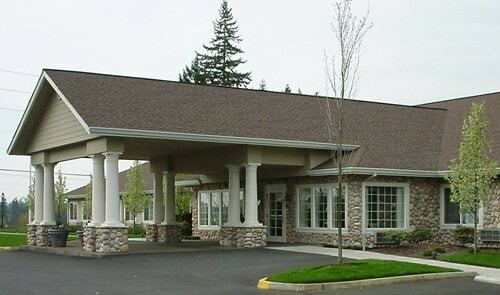 You will find a comfortable and homelike assisted living community when you join Cedar Crest Alzheimer’s Special Care Center in Tualatin, Oregon. We provide the amenities and supportive services you need to maintain your independence and health. Cedar Crest is part of JEA Senior Living which operates communities from the Great Lakes region to the West Coast. Founded by Jerry Erwin, JEA Senior Living is focused on providing retirement living and assisted living to seniors. Having seen a need for quality memory care following his own mother’s struggle with Alzheimer’s disease, he and his extended family opened their first Alzheimer’s Special Care Center and have opened over 50 highly specialized centers since. Cedar Crest Alzheimer’s Special Care Center promises you the freedom from home maintenance, chores and meal preparation. Allow our trained chefs to prepare tasty and healthy meals daily in our restaurant-style dining room. You have the freedom to choose to partake in activities, whether you want to head out for a day of shopping or enjoy a card game with friends, you'll have plenty of good times. All residents can benefit from our Personal Exercise Program (PEP). This program emphasizes low-impact exercises geared to improve resident flexibility, improve circulation and increase endurance, maximizing your independence and personal freedom. Our PEP Coordinator will work with you according to your physician's recommendations to help you achieve your personal wellness goals. Our assisted living communities provide an alternative choice for those who need occasional help, but not the high level medical support provided by a nursing home, all at an affordable price. We take the time to get to know each resident and aim to strike a balance between assistance and encouragement. Those who need additional support due to memory impairment such as Alzheimer's or other dementias will thrive in our Expressions memory care communities. Our program involves a combination of planned and spontaneous activities that nurture the body, heart, mind and soul. We center our services on the predictability of everyday life, using innovative care techniques to create positive interactions. We urge you to visit us at Cedar Crest Alzheimer’s Special Care Center, where you will find a loving balance of convenience, choice and security all under one roof.